Aside from tempting tabletop fodder and furniture, Camelion Design (Ballard, 5330 Ballard Ave. NW; 206.783.7125) has a fabulous fabric line ($150 per yard), with a swatch count of 1,000 to choose from to give your couch or chair a classy new cover, or to create that just-right accent pillow. (FYI, Camelion recommends Eidem’s Upholstery, just down the block, for upholstery jobs.) 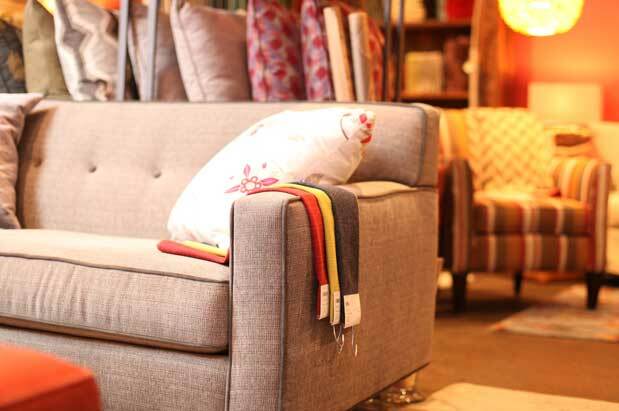 It will have deals of 50–75 percent off during the Ballard Sidewalk Sale (July 24–27), and don’t miss its August Anniversary Sale, offering 15 percent off special orders on furniture and fabric. After more than a decade as a bright style spot on Second Avenue downtown, Great Jones Home (500 E Pike St., Suite 100C; 206.448.9405) has a new home on Capitol Hill, joining a retail mix that includes Edie’s Shoes inside the revamped Greenus Building. Great Jones staff were already working with design clients from the new locale, and, as of press time, planning for a grand retail opening in late spring. Expect to find the same chic calibre of furnishings—tony frames to glam mirrors—as well as as a rich array of elegant fabrics to choose from for custom desires, be it a flock of new accent pillows or a fresh covering for a tattered antique chair.